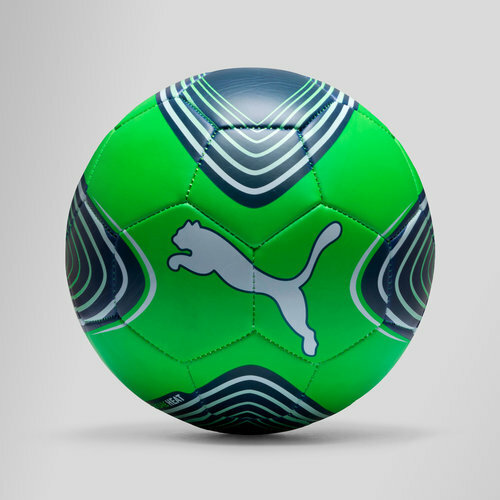 Perfect for the practice field or for simple kickabouts with your mates, play and train with the Puma Future Heat Training Football in Green Gecko, Puma White and Deep Lagoon. This entry level football is perfect for social kick arounds or practice before the big games, this ball offers a unique design with colour changing panels which change when touch or heat is applied. The combination of polyester and foam back with hand stitching ensures good shape from the start to finish and healthy bounce and flight.